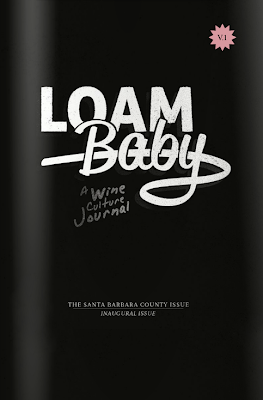 The Gray Report: A great wine fanzine: Loam Baby! Fanzines are an endangered species in the Internet era. Pre-21st century, self-published magazines occasionally had outsize countercultural impact. Punk Magazine, for example, named not just a genre of music but a style of clothing and an attitude. Bettie Page endures as a cultural icon 60 years after Irving Klaw's famous photos of her ran in what were essentially fanzines. Today, people like me write blogs like this rather than investing the money in printing an actual fanzine. Music, movies, style, all the topics that used to drive folks to self-publish are all on Blogger or Word Press now. Loam Baby, a Wine Culture Journal, is a throwback. Written and self-published by an author who insists on remaining anonymous -- R.H. Drexel is the pseudonym -- it's a 66-page look at the winemakers of Santa Barbara County from a very cool-kids perspective. Example: the interview with Greg Brewer, always a fascinating person to talk to, is pretty good, but the photos that accompany it are what really rock, as Brewer, wearing only a blue towel, shows off the giant octopus tattoo on his right arm. 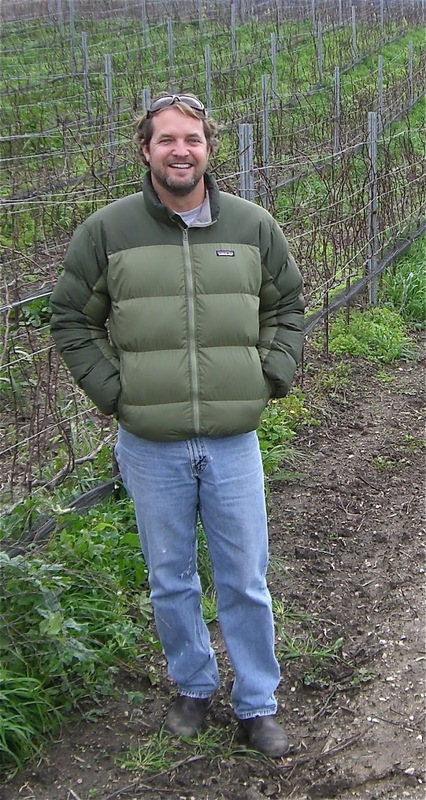 Some of the Q&As are serious about wine, as when vineyard manager Chris Hammell (Bien Nacido, Solomon Hills) talks about biodynamics. Some are only tangentially about wine. My favorite interview is Chad Melville talking about why he bought a 40-year-old Volkswagen bus. ("It's in control of you, rather than you being in control of it.") Melville studies Zen and finds enlightenment in the fact that he can't count on the bus to start. It's truly a great interview that would never be published in any magazine or newspaper I know. This is why fanzines should exist. There's also a 5-page interview with Jenne Bonaccorsi solely about her dog. Dog lovers will love it! And, with Drexel having laid out $10,000 to print Loam Baby, this interview only cost $758 to publish! WBG: Why did you do Loam Baby? Drexel: I love wine. I love people. I love the kinds of people who devote themselves to making wine. So, this is about that love affair; just being able to tell their stories in ways that are hopefully intimate and refreshing. Also, I love to write and I love the feel of paper, so this was my own little way to publish something that's still printed out on paper and can be folded up and stuck in a back pocket, or back pack, or left on the nightstand. WBG: You call this the first issue. How often do you plan to do this? Drexel: I'm hoping to publish 3 or 4 times a year, as time and resources allow. I'm funding this myself, so right now I'm just trying to finish up the next issue and then I'll just keep putting one foot in front of the other. WBG: What's the next issue? Drexel: It's on Santa Cruz. WBG: What does RH Drexel stand for? Drexel: The RH stands for a location (a private home) in New Orleans where I often go to write and gather my thoughts. New Orleans is the city that, in a sense, gave me the permission to write. It's just a creative and soulful community; a friendly and dynamic place where one can let one's hair down. New Orleans is a town without ambition or an agenda. The folks there just take it a day at a time, which is liberating for a fledgling writer. It's not a place for movers and shakers, unless you just want to move and shake to good music. Drexel is the last name of an American saint, Katherine Drexel, whose legacy I greatly admire. Good luck, RH. You won't get sainthood for this, but if I had the power to anoint you as super-cool, you're there. I have been trying to look at the mag on line, but when I get to the site it wont let me open it up. Is this just me, or everyone? Maybe try Mozilla, Foxfire, Chrome or Safari as a browser. I just received a copy in the mail (unsolicited, I think). I looked through it quickly and it appears Drexel is passionate about the subject of wine and the people involved and not just for what they do in wine. 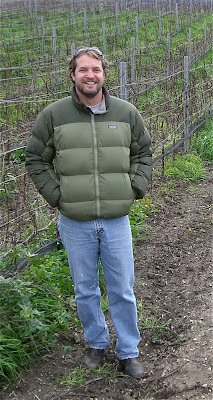 I would love to have Drexel write a guest article for my new online wine magazine. I like the style. Doug: What is this new online wine magazine? I'm sure RH will look at the comments here, leave a means of getting in touch. Loam Baby is brilliant! Drexel made me look at the wine industry and it's people in a profoundly different way, s/he really changed my perception. This zine is totally captivating. Blake, I think Drexel has already found me. The name of the magazine is purely domestic wine report. I bought a hard copy. Two things: this sort of thing needs to be supported; the aesthete in my likes to have something in my hand. Thanks for surfacing this, Blake. You bought a hard copy! Jeff, you are a writer-supporting mensch. I am not sure Drexel wants not to be discovered. He sent me a personal email asking me to have a look. Blake, I do think you have done a great service in your review, and I hope it encourages at least a few visitors to his site and a decent trickle of purchases. But, as you know so well, in this era of free information, trying to sell anything can be tricky. Back in the day when words on paper could be produced less expensively, he could conceivably have found a home for this kind of writing. Now it is hard to see these kinds of efforts being rewarded fairly. If he proves that they can be, we will all be the better for it.